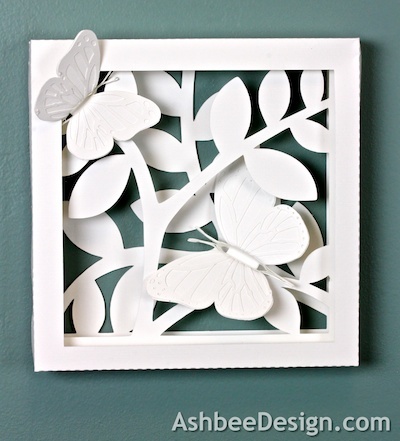 I continue to explore the possibilities with shadow box design. Last week I created this multi-leveled piece which incorporates full color for the first time. 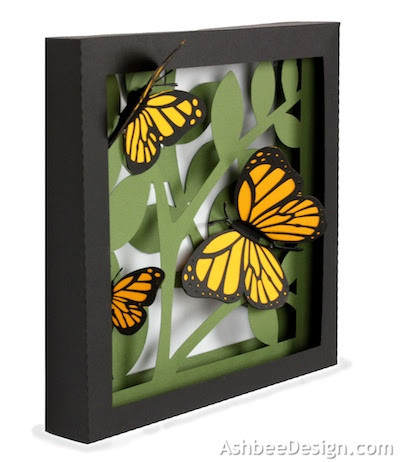 So far my shadow boxes have stayed with subtle colors but when one explores butterflies you need to also explore color. 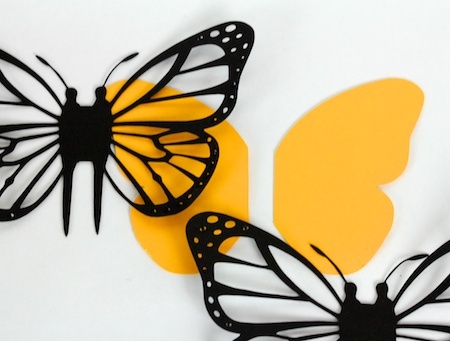 I am continuing to explore the Silhouette and I love that I can create my own designs with its software. I work first in iDraw because it has layers and then transfer into the Silhouette software to create cutting files. 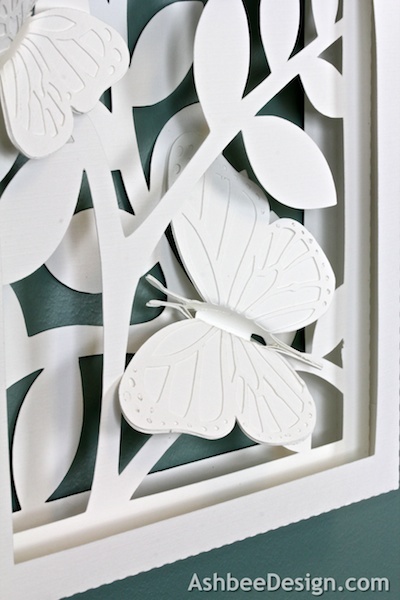 Having a drawing program with layers is very helpful when designing a shadow box because it is created in layers. I put it together with my up cycled bottles from last week for this arrangement. But of coarse, I also used the same files and created it in white. 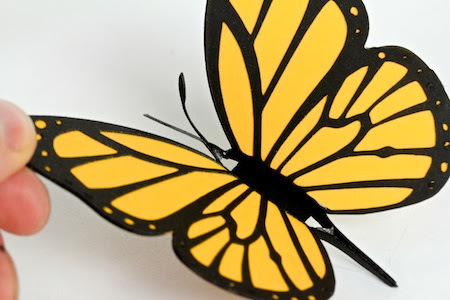 I created the details of the Monarch by using layers of paper. 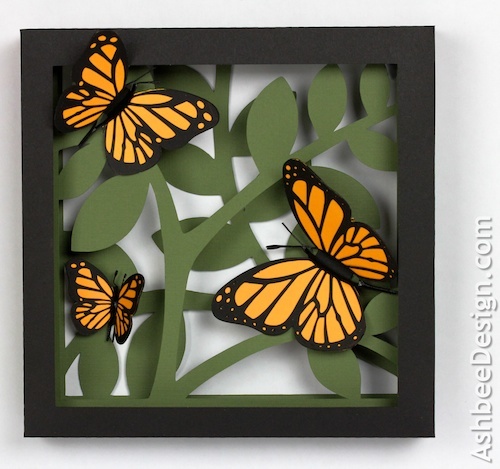 The cutting files for this project are available here and I have uploaded a complete tutorial for assembly over on Ashbee Design Silhouette Projects here. As always, I am taken with the graphic possibilities of the shapes while crafting. Great for photos! They're both gorgeous, but I loveloveLOVE the white version! I agree with the first commenter. They're both beautiful but love love love the all white one! I have a link party every Friday. Would love for you to share there. 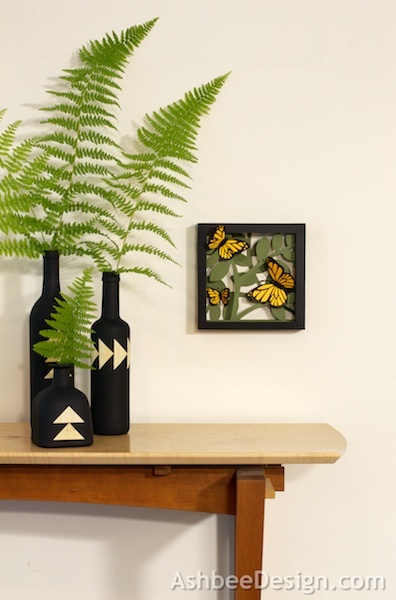 Your shadow boxes are beautiful! I would definitely love to have these on my wall. Thanks everyone for taking the time to visit and comment. Interesting that the white is the favorite. It is elegant in person and so hard to photograph!